Healthy gums are the foundation for overall health and quality of life. When you visit our office, your health and comfort are our top priorities. Our entire team is dedicated to providing you with personalized and gentle periodontal care. We provide the ongoing and supportive oral health coaching that you deserve. Part of our commitment to serving our patients includes saving your natural dentition but replacing missing or hopeless teeth with dental implants. We work closely with your dentist and other dental specialists to assure long-lived and perfect treatment outcomes. We also are dedicated to assisting you reduce your individual risk for tooth loss. 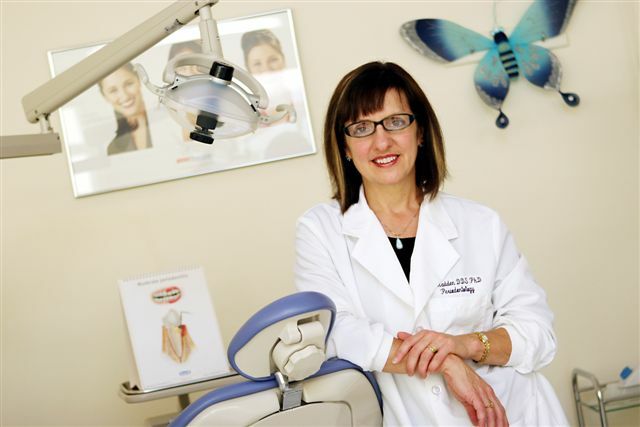 Olympia Periodontist, Dr Theresa Madden is a professional dedicated to excellence in Periodontics such as Periodontal Disease Diagnosis & Treatment, Bone Grafts, Crown Lengthening, Dental Implants & more. Olympia, Washington Periodontist Theresa Madden, DDS looks forward to serving you.